I’m happy to pay for Emily to learn new things & drive her around to do fun stuff, but am I happy to do the same for me? Why does she only get to do the fun stuff?! Yes I study for my business and I go out every now and again with friends, but I am I willing to let myself learn new things & do fun stuff too? Do YOU want to play soccer, try gymnastics again, learn the piano, do woodwork, or any of the other millions of things that there are to do? Do YOU do things just for the sheer joy of it? Not for work, self-improvement, or fitness – but just for fun? Do YOU let yourself do something seemingly frivolous in amongst the gazillion jobs you have to do? I realised that many of us don’t. Especially those of us with young children. We can feel frazzled, overwhelmed and that we’re barely keeping afloat. We can feel exhausted just at the idea of adding something else to our ‘To Do’ list. 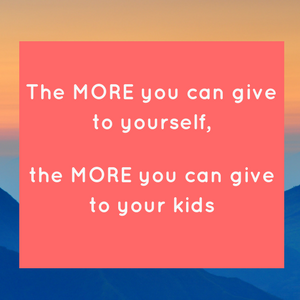 We can feel guilty about leaving our littlies or spending money on ourselves for something ‘indulgent’. And yet…we also intellectually know how beneficial it would be for us – how enriching & life-enhancing it would be. Would you like to learn a new skill or craft? Or join a sports team? Paint, draw, crochet? Or play an instrument, go hiking, trampolining, learn a new language? You can tap into your creativity again. You can use your brain again. Or switch off by immersing yourself in an activity. You can rediscover your love for things you did when you were at school. And then you can return to your family refreshed, energised and more able to be genuinely calm, patient & connected with your kids. So a friend & I are about to start at term of sewing at the local Community College. I’m completely rubbish at it and am finding the pattern instructions completely overwhelming. But I’m really exciting about becoming crafty again and learning something new. I’m then planing to have a term of learning the piano (I used to play at school), and then a term of singing lessons. 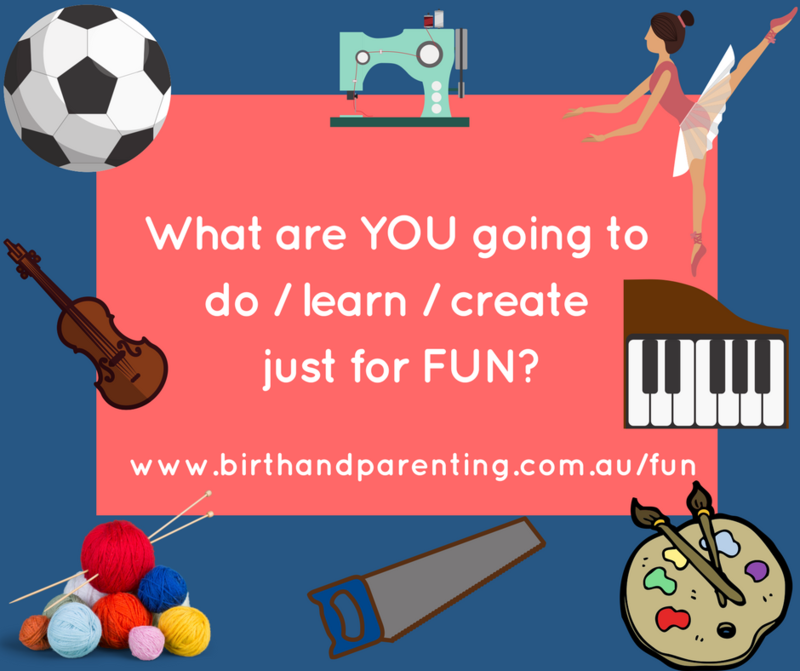 Am so excited and would love to hear what YOU currently do or would like to do – just for FUN…. 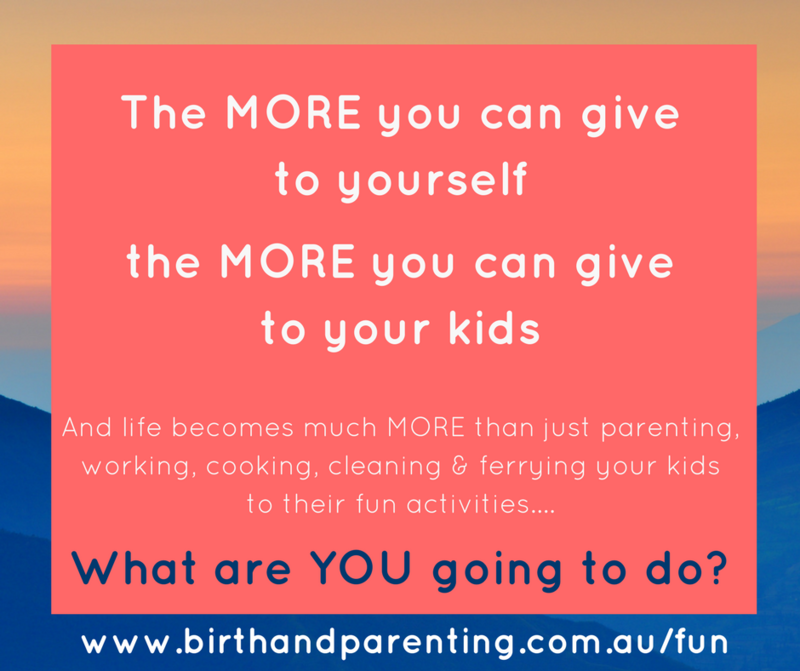 Have a great week & come on over to the Really Useful Parenting Club on Facebook to let us all know! ← Bedtime Soothing Techniques – Are They Helpful?